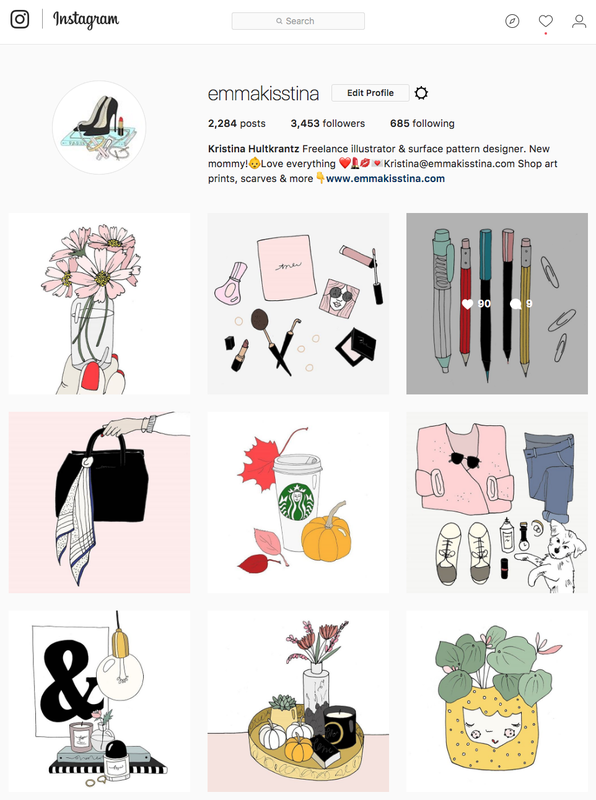 Hello neglected blog friends! I haven't fallen off the planet I promise, just been putting most of my focus (when not taking care of my son Stark of course) on my Instagram feed and my YouTube channel. Yeah so if you didn't know I had a baby last year, October 2016. Pretty big stuff! I'm loving my new role as a mom but it's quite the adjustment trying how to figure out how to manage my time taking care for Stark and still working on my business as much as I can. Today I'd like to introduce you to the second book I created with Pagina Förlag here in Sweden. It's a fashion themed A4 sized poster book. The book has 20 illustrations with everything from sunglasses to high heeled shoes and features fashionistas such as Coco Chanel and Brigitte Bardot. A perfect start to a glamorous EmmaKisstina gallery wall in your home! Today I'd like to introduce you to my postcard book Love Notes. It is a gorgeous love themed book with 20 cards you can rip out, write a lovely note on and post to your loved ones. There are a mix of card designs so there is something for everyone on your contacts list, from your lover to your grandmother. And a big plus is that you don't only have to use them on Valentines Day. Many of the designs are occasion neutral and can be used to send a little extra love all year round. The cards are printed on really nice heavy weighted matte card stock with an original love themed illustration on the front and a simple postcard template on the back. 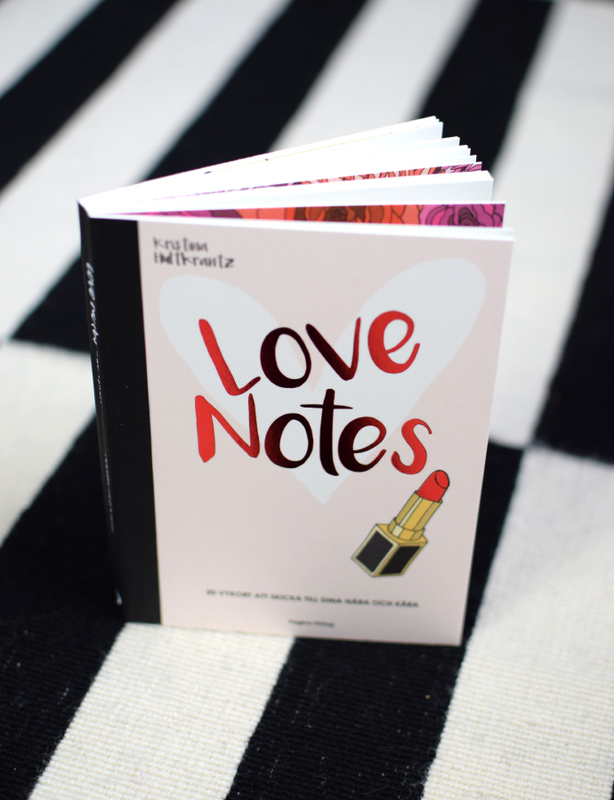 Sized 5"x7"
The front cover features a simple lipstick illustration and gorgeous lipstick red foil... and my name! How insane is it that I have books sold in actual stores with my name on it!?! It really tickles me. If you are interested and located in Sweden Love Notes is available for purchase on Bokus. For international customers you can purchase the book in my Etsy shop. 2016 Update! Books and more! Long time no see. (I hate when people say that.) Where have I been? What have I been up to? Tons and tons of drawing is what I've been doing! It's been a really exciting process, and I'm so happy that I can finally share what I've been working on. Since Formex in August I have been in contact with Swedish book publisher Pagina Förlag (who actually discovered my work there, yay!) They have commissioned me to illustrate 3 books, which is very exciting! One love themed postcard book, one fashion themed poster book, and an adult coloring book. I was over the moon about this project and worked from September to February on these illustrations, especially for the coloring book as I had to create 96 originals. I don't think I've drawn this much in my life. I think I might have even gotten better at it too. 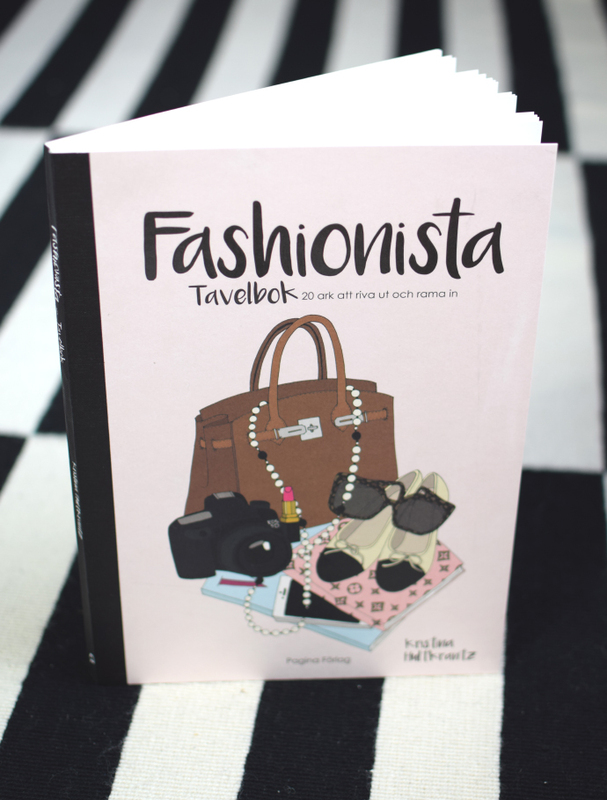 My postcard book Love Notes and my poster book Fashionista are both already available for sale (links below) and my coloring book will be released at the end of the month. So now you know what I've been up to all these months. I hope you're as excited for my books as I am! If you are interested and located in Sweden my books are available for purchase on Bokus. And if you are international you can find them in my Etsy shop. Visit EmmaKisstina: Kristina Hultkrantz's profile on Pinterest. All texts, images, and recipes are also created by me, Kristina Hultkrantz unless otherwise stated. I try my best to site and link back to photographs and artwork found in internetland. Please let me know if I have missed anything. 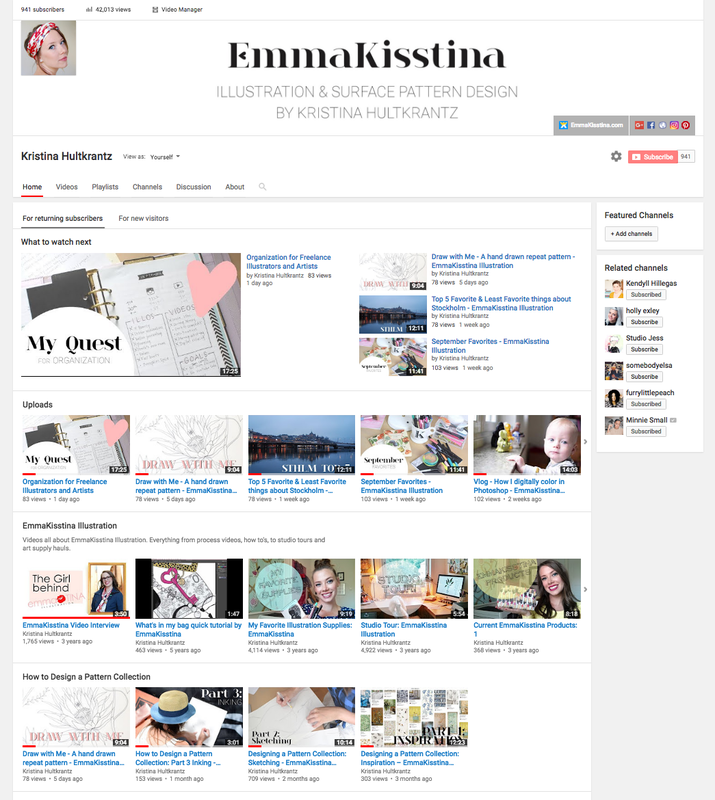 Copyright 2007-2014 Kristina Hultkrantz. All Rights Reserved. © 2007 - 2013 Kristina Hultkrantz, EmmaKisstina. Powered by Blogger.